"A Celebration of Vancouver Island and the Arts ,Cultural and Tourism Community"
Never Under-estimate the power of the Moving Image! Growing the Circle weaves digital tapestries. Our interactive, multimedia dynamic content introduces visitors to the treasures of Vancouver Island. 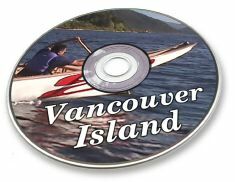 Our upcoming Vancouver Island CD will be a portable directory and showcase for the Island, her artists and cultural celebrations. We are presently seeking content and distributors. Hospitality providers, artists, musicians, photographers, festival organizers, First Nations and tour operators are invited to participate in this exciting marketing venture. Nanaimo BC is home for a new service designed to promote Canadian Cultural Tourism. Growing the Circle Communications Group, a collective of communications specialists, has launched a multi-dimensional vehicle to promote Canadian tourist-oriented businesses. ``Our mission is to assist tourism businesses in attracting customers from around the world by taking advantage of current technology,â��â�� stated Randy Fred, one of the principals of Growing the Circle. ``Digital Information Technology provides effective communication tools for marketing tourism operators both from a production and distribution perspective. In digital format the research, writing, and photography is cross-platform. That is to say: it can be incorporated into a brochure, a press release, a website, CD-ROM, DVD, videocassette or television broadcast. "Sold as souvenirs the video cassettes and CDs can recoup their initial production costs." Carson and Austin have already completed a web streaming video/CD package for BCâ��s Sooke Harbour House. " The web video was very effective at communicating the unique character of the Inn and introducing the charm and vision of its hosts. Our tracking records demonstrated a 400% increase in traffic to their website after introducing the steaming video,â��â�� said Carson. The video is also being shown by a PBS broadcaster in San Jose, California. In addition to production and distribution services, Growing the Circle provides consultation. "Collaboration, networking, and sharing are the fundamentals of effective marketing in the digital age. We stress â��co-opetitionâ��, cooperation among competitors. In the area of International marketing there is a role for co-operation. Businesses can piggyback on each otherâ��s marketing efforts. They share a synergy where the whole can be much more than the sum of the parts. By concentrating Canadian Eco/Cultural Tourism, our knowledge, data-base, archived videos, and multimedia magazine/web portal become valuable, not only to our clients, but the ultimate beneficiaries are the customers." `â��The Internet has given tourism operators a worldwide audience and a huge potential market. The SeatoSea.ca site links our clientsâ�� websites to appropriate government, media, search engines and audiences." "Our Circle grows with the continual addition of links and clientsâ��â�� says Julie. Growing the Circle is in development on an entertaining broadcast series that would showcase the warmth; humor, hospitality and adventure available throughout Canadaâ��s cultural travel community. Randy Fred smiles as he says, `We see vast potential especially for First Peopleâ��s tourism businesses. Lack of financing and marketing seem to be the main obstacles to success. Growing the Circle is about overcoming obstacles, nurturing creativity, and promoting collaboration in the spirit of our traditions,"
Those who know Randy know that these are words he lives by. Growing the Circle Communications Group is launching a service focused on increasing business for First Nations Tourism and Cultural Travel Businesses. v Development and Placement of a National Cultural Tourism Internet Portal. v Development of a Broadcast Television Series based on cultural tourism in Canada. Growing the Circle will help you develop and position your cultural travel products and services. Through our media, print, and web based efforts, we will help your business attract customers. Cost-effective marketing increases exposure and increases profits. Our media efforts will tap into established International media interest in Canadaâ��s First Peoples. The Internet provides new and exceptional opportunities to link-to and piggy-back on much larger organizations and their marketing efforts. Many of these organizations have a mandate to work on your behalf. Many others have a vested interest in seeing your business succeed. Co-opetition replaces competition. Together we stand! The broadcast television series and web portal that will be built from the material produced from our collective efforts will further drive traffic and customers to our participants. Our costs are affordable and reflect our in-house production capabilities and economies provided by advances in digital technologies and communications. By building on the collective marketing efforts of cultural travel providers across Canada we provide cost-effective outreach. Our media, web, CD-ROMs, broadcast television, trade shows and other marketing initiatives will link to a common portal increasing the exposure of participating companies and organizations at a small fraction of traditional marketing costs. The sale of CD-ROMs and video can offset production costs or even provide another source of income. Growing the Circle can assist businesses in securing available grants/ loans to help pay for our services. Contact us for more information or to book an appointment with our team. Growing the Circle Productions taps into the creativity of writers, photographers, cinematographers, graphic designers, web designers, animators, marketing consultants, artists, and tour operators. Randy Fred created Theytus Books Ltd., Canadaâ��s first Native-owned and operated commercial book publishing company. He also founded and managed Tillicum Library, and Imprint of Arsenal Pulp Press. Between these two companies and other projects he has published more than forty books. Randy founded and published Strait Arrow, a newspaper popular on Vancouver Island for its honesty and easy-to-read style. Randy trained in video production with renouned First Nations film and video producer Phil Lucas, and initiated two video productions with CBC-TV, Vancouver. Randyâ��s other credits include radio broadcasting, music promotion, computer instruction, and accounting. Julieâ��s recent production Cree for Kids was awarded the prestigious 2002 Aboriginal Peoples Television Network/ Telefilm Canada Award for Best Aboriginal Production at the Banff International Television Festival. Philâ��s background is in documentary production, corporate video, event production and education. Philâ��s lengthy documentary credits include The Hand of Man, The Eagle and El Condor, A Love Stronger than Poison, and the recently produced Wisdomâ��s Way. May the Forest Be With You won an award from the Missoula International Wildlife Film Festival. Philâ��s event productions include: Flight, North Americaâ��s premier film festival devoted to birds, and Blueâ��s for Greens a musical environmental extravaganza at Calgaryâ��s Jubillee Auditorium. Philâ��s media literacy efforts stretch over 20 years from Alberta Video Pals through BCâ��s E-Team program.